How to Transfer Data to iPhone X or iPhone 8? Home > Resources > Transfer > How to Transfer Data to iPhone X or iPhone 8? Apple just announced the new iPhone X and iPhone 8 in Sep 13th, 2017 and many Apple fans itch to try the new gadget. If you are planning on getting yourself a new iPhone 8, iPhone 8 Plus or iPhone X, you will learn how to transfer data from your old phone to the new iPhone beforehand. Well, it is stressful to spend hours to transfer files one by one manually. Is it possible to transfer data to iPhone X or iPhone 8 in a batch? 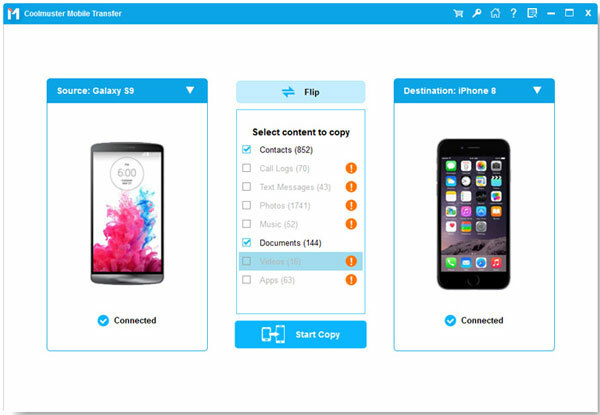 Fortunately, with the help of iPhone Data Transfer, you do not need to transfer data from your old phone to new iPhone manually one by one. 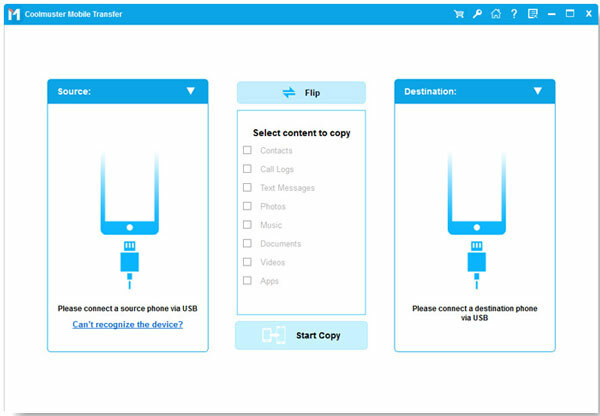 No matter your old phone is iPhone 7/7 Plus/6S/6/5S/5 or Android phone, iPhone Data Transfer can help you transfer everything, including contacts, text messages, photos, videos, music, call logs, apps and more between the two phones in one click. What you need to do is selecting the files by ticking them out, and then give a click on the "Transfer" button. Before we show you how to transfer data from old iPhone or Android phone to iPhone X or iPhone 8, you should click the following button to get the iPhone Data Transfer downloaded and installed on your PC or Mac. Launch the installed iPhone Data Transfer and click "Phone to Phone Transfer" section from the primary interface. Then, connect your old phone and new iPhone X or iPhone 8 to the computer via two USB cables simultaneously. The two connected phones will be detected by the software and displayed side by side. In the middle of them, there are all types of files you can transfer now. Just select the content that you want to copy. After you have selected all the data types you want to transfer from your old phone to the new iPhone X or iPhone 8/8 Plus, you can directly give a click on the "Start Transfer". Note: Make sure the new iPhone X or iPhone 8 is on the right, if not, you can click the "Flip" button to switch their places.